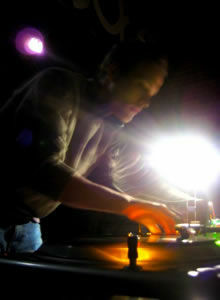 I am a DJ and music enthusiast from the UK with a passion for Drum & Bass, Jungle and Old Skool. I have been DJ'ing since 1995 and although not on the professional circuit I have been lucky enough to play at some of the top UK underground venues over the years including Fabric and SE One. Things are a little quieter these days but I still enjoy spinning tunes and being involved with regular smaller nights like Jungle Friday which currently hosted in London on a quarterly basis. I have an extensive collection of music on vinyl and CD spanning a wide range of genres which I am slowly streamlining and selling off via the Discogs and eBay marketplaces. All items I have for sale are from my personal collection, have been well looked after and are graded conservatively. If there is something you are after in particular you are welcome to just drop me an email.